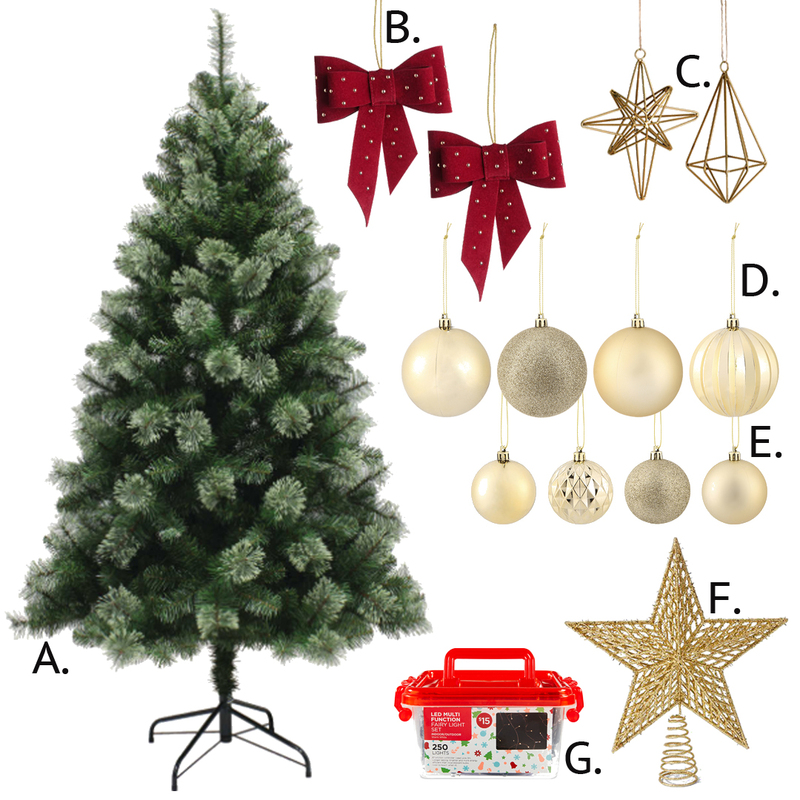 December 1st is the day for putting up your tree! For those of you who haven't got your Christmas tree sorted yet, I have 4 gorgeous tree theme designs that would suit anyone's aesthetic and home . I also did my best to do most of these on a budget and suggest some money saving ideas because most of us don't want to spend a fortune on a tree that's up for less than a month of every year. Plus, if you have pets like me, there is a good chance it will get trashed and you will need a new one next year! 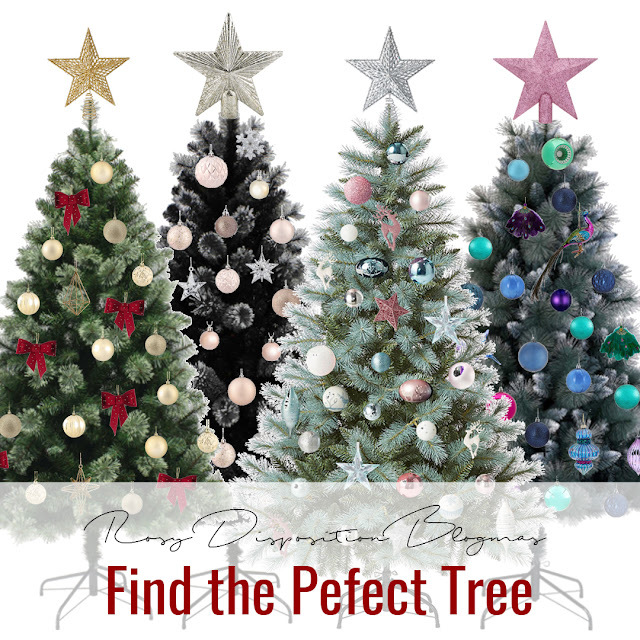 So when you are picking a tree you can go traditional or creative. It is also a good idea to suss out the Christmas decorations you already have so you can maybe create a common theme. Alternatively, you can find a single decoration you absolutely love and build your theme from there. That said, a Christmas tree's main job is to make you happy when you look at it, so I say go for whatever ornaments you like! Set your christmas tree up in a corner! This means you only need about half the decorations because you don't see the other side. 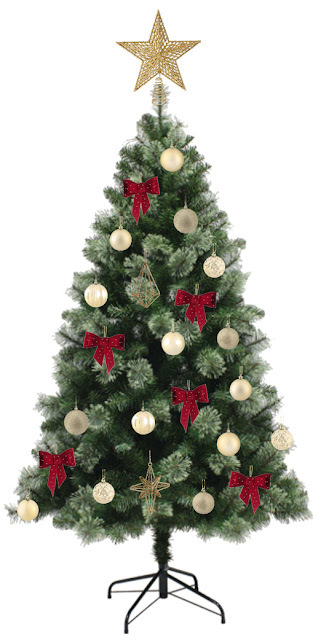 A Christmas tree will always look more luxe if it is laden with baubles and decorations. 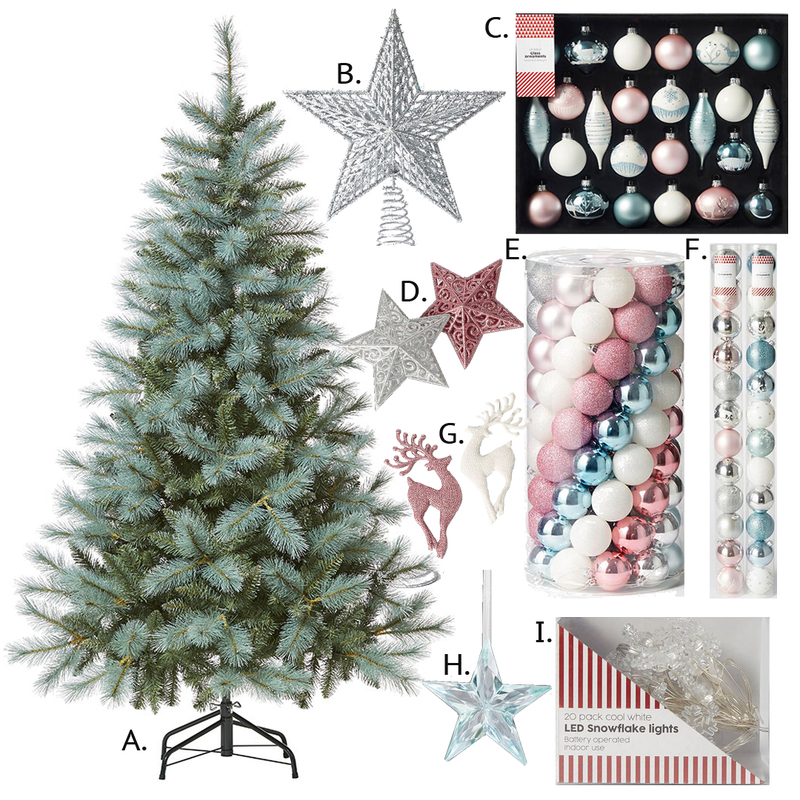 By reducing the amount of decorations you need, you will dramatically decrease the cost. I also love fairy lights because they look so lovely and are really affordable. Tinsel is really affordable too and takes up a lot of space for not much money. You can find some pretty lovely, high quality tinsels now but definitely avoid the cheap stuff that looks sparse. I mocked up each of these tree designs in Photoshop (yes, it took ages!) so you could get an idea of what they would look like. Bear in mind that the decorations are not to scale and you will probably need far more than pictured but I wanted to make sure you could see the decorations. This is the theme I went with this year and I loved it. The whole tree was inspired by the beautiful H&M red velvet bows I found early on in my Christmas shopping. There is something so luxe about rich gold and red decorations against a deep green tree. Top it off with some warm toned fairy lights and you will have a luxurious Christmas tree. I would also go for textures like velvet to elevate the whole feel of the tree. Everyone loves rose gold, especially bloggers! I really liked the more muted rose gold decorations that Kmart had on offer this year so I created an entire tree theme inspired by them. This would be perfect for someone who either lives for rose gold, or prefers a very chic, monochromatic look to their home. As much as I love traditional Christmas decorations, ultra modern trees can be absolutely stunning too! Here in Australia, most of us dream of a snowy white christmas as we swelter through the summer heat. I certainly know I do because I usually spend my Christmas in Rockhampton, Queensland, which routinely reaches up to 40 degrees on Christmas Day. There is something so beautiful about a tree of soft whites, blues and pinks and Target had so many amazing decorations to make it happen. 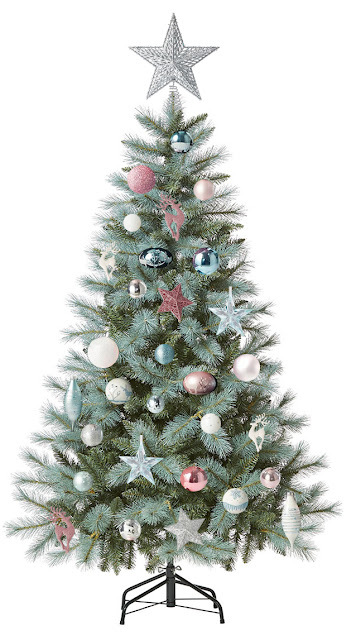 You could use a truly white christmas tree for this theme too, but I find they often look cheap and I really prefer the look of a frosty pine tree instead. 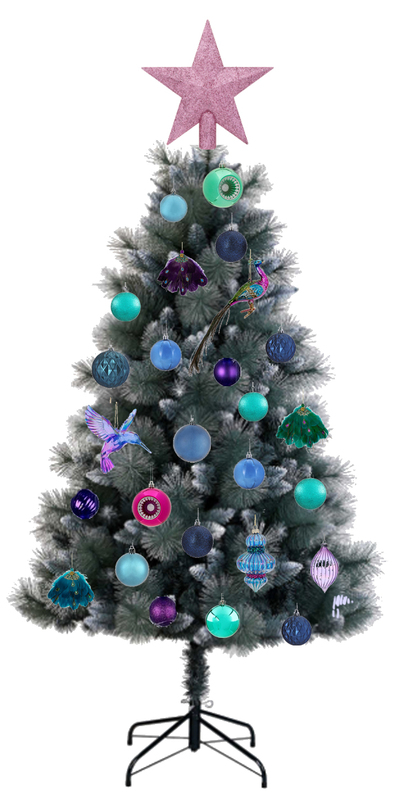 I wanted to do something really different to what is largely available at the cheaper department stores, which means that this tree would work out more expensive than the others because a lot of the unique decorations cost a bit more. Nevertheless, I love these jewel tones of navy, teal, pink and purple and I wanted to include it as a different option. Wow, that ended up being a long one! I wanted to give you lots of different options and even though it took forever to create all these collages and tree designs but it was so worth it. They all look lovely and I would happily have any one of them in my home! 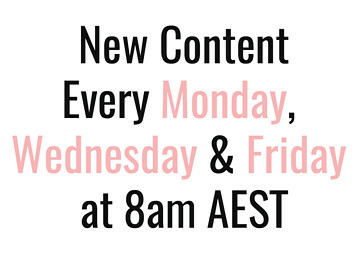 Make sure you stay tuned for the rest of my Blogmas posts. 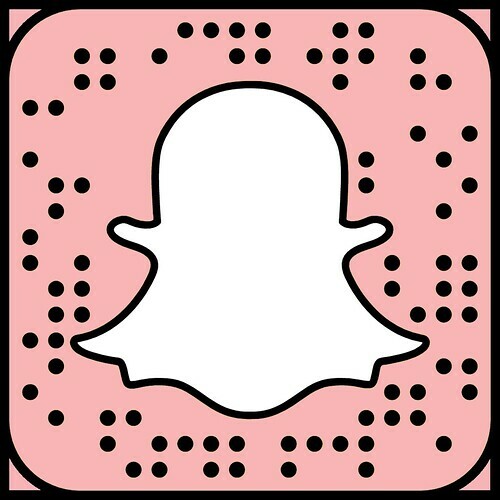 I will be posting every day until Christmas Day! Also, I would love to know what theme is your favourite from the four I've created so let me know in the comments below. 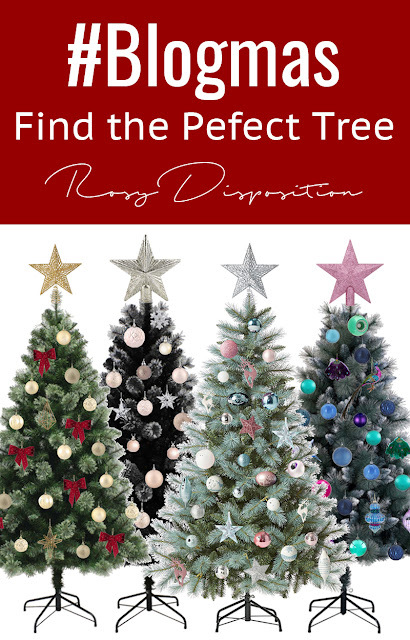 13 comments on "#Blogmas Day 1: How To Decorate Your Tree"
Ive had my christmas tree up for a couple of weeks.. hehe but I went out and bought a large 6ft tree this year and all new decorations, as I am hosting christmas at my house this year! (for the very first time) eep! I got those gorgeous rose gold ones from kmart, plus a few luxe ones from a local homewares store. Beautiful post Emma! I like the traditional and rose gold themes. Both are so pretty!! I just finished setting up me traditional red and gold tree and it worked out so well! I love all your recommendations and the themes. We actually don't have a tree at our home since we haven't had a Christmas at home. 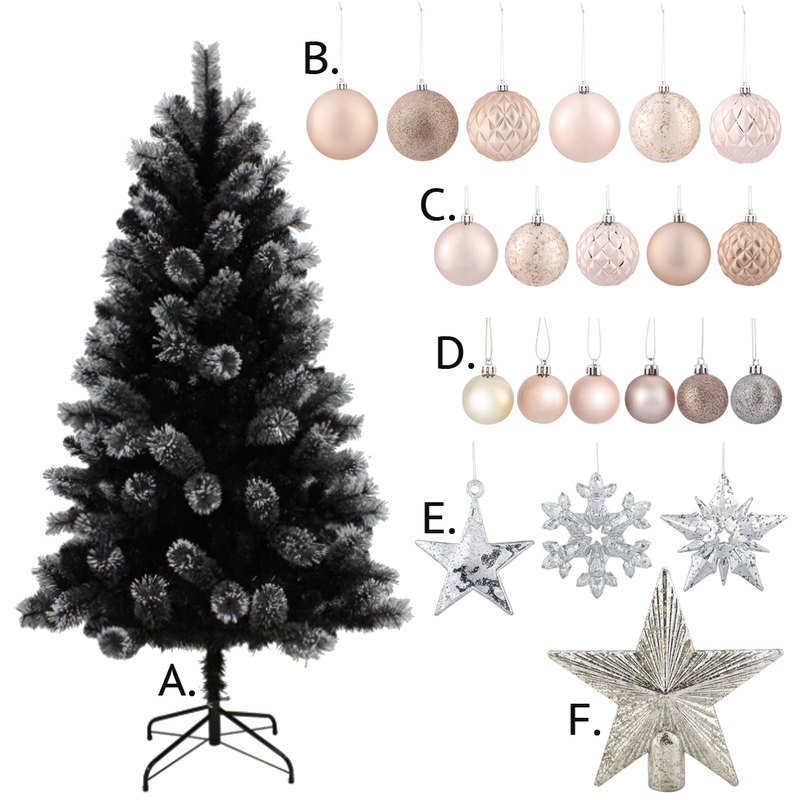 But next year I'm going to get a tree and choose one of these themes and stick to it! Love these designs! My tree is a combination of the traditional red and gold and rose gold this year! I have a traditional red and gold decorated tree. Much as I'd love to change the colour scheme I've invested too much money over 15 years or so buying red and gold traditional decorations to change it up now! I love the style boards you created here! The classic red and gold is still my ultimate favourite! 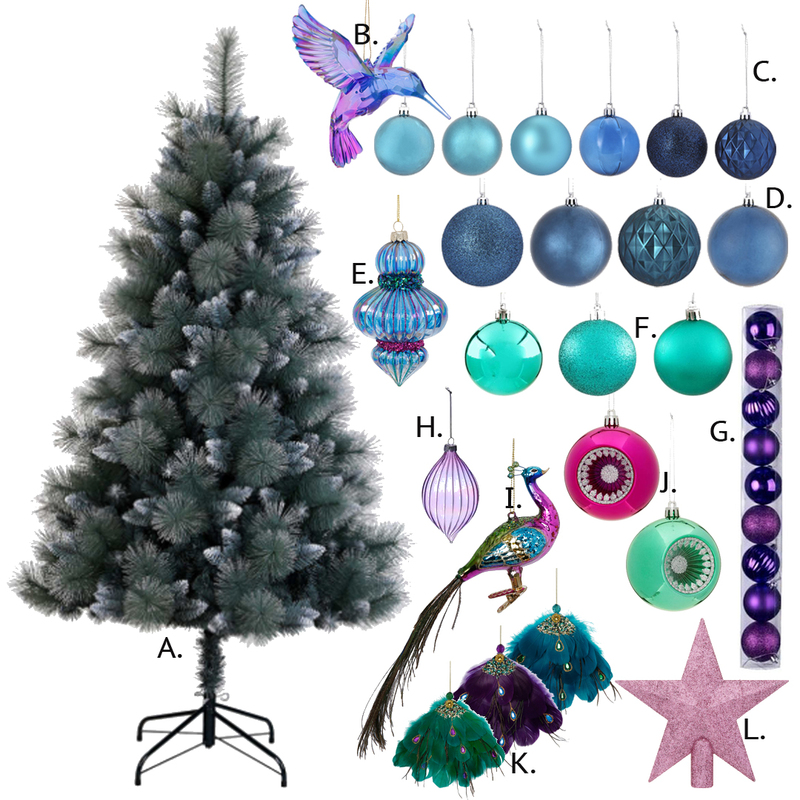 So many beautiful ideas, the Christmas trees look so beautiful. Love the classic red and rose gold theme, I would love to implement some ideas.